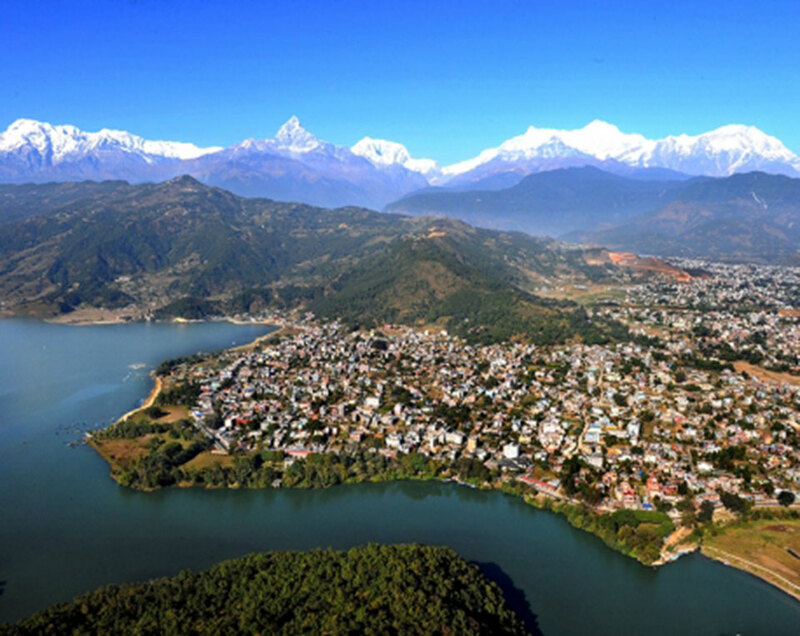 POKHARA, Jan 24: The Gandaki Province government on Wednesday formed a minister-level committee to reclaim the encroached areas of Fewa Lake as per a Supreme Court order. A provincial cabinet meeting on Wednesday formed an 11-member committee under the coordination of Industry, Tourism, Forest and Environment Minister Bikas Lamsal and tasked it with implementing the apex court order within six months. “The provincial government received the court order on January 16 and we will start implementing it immediately after convening a meeting,” said coordinator Lamsal. The apex court has ordered the provincial government to demolish illegal structures built around Fewa Lake and demarcate the original area of the lake within six months of receiving the full text of the court order. The court order issued in April also called for the scrapping of private land ownership for any land that is within the original demarcation of the lake within a year, pointing out that individuals had registered exposed areas of the lake under private ownership. Lamsal claimed that implementation of the order will start on a war footing. The committee includes provincial assembly Members Rajib Pahari, Krishna Bahadur Thapa, Bindu Kumar Thapa and Ramji Baral, Mayor of Pokhara Metropolitan City Man Bahadur GC, the secretaries of two provincial ministries, the CDO of Kaski and the chief administrative officer of the metropolitan city as members. Structures built legally around the lake will be compensated for before demolishing them but those built illegally will be torn down without compensation. Committee member Pahari said that those with land ownership certificates for land that meets the criteria of 65-meter distance from the lake may get compensation. Advocate Khagendra Subedi had filed a writ petition at the Supreme Court demanding reclamation of land within the original demarcation of Fewa Lake, as suggested by a probe committee led by Biswaprakash Lamichhane. The provincial government has also initiated legislation for the preservation of Fewa Lake and allocated Rs 100 million for restoring the lake to its original area. Meanwhile, a field study report of the International Relations Committee of parliament has recommended restoring the pristine beauty of Fewa through reclamation of the encroached areas and demolition of illegal structures. The report of a sub-committee led by former prime minister Madhav Nepal was endorsed by the full committee on Wednesday. 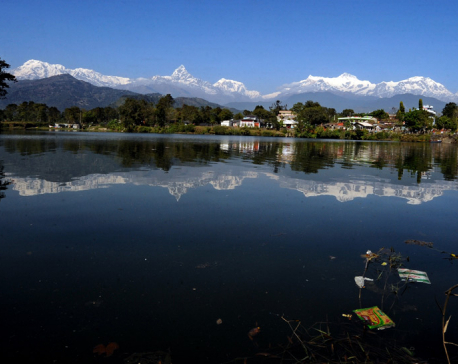 “Fewa Lake will no longer exist after a few decades because of sand deposits and garbage. If encroachment on the lake continues and the wetland is not conserved we may lose our tourism attraction. 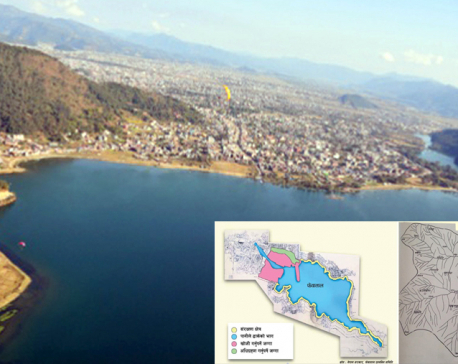 The lake should be conserved, encroachment stopped and constructions destroyed,” said sub-committee coordinator Nepal. “The committee made some suggestions for restoring the pristine beauty; we have suggested laying out a pavement encircling the lake, developing the greenery and leaving certain areas as open spaces,” Nepal added.